KayKiSpeaks.com: Bizarre News: Snow church opens in Bavaria! A century after villagers in Bavaria built a church made of snow as an act of protest, another church made of snow and ice was built. Pretty neat, huh? See more info and photos after the jump! The church at Mitterfirmiansreut (yes, try pronouncing that), near the Czech border, is more than 65 feet long and has a tower. 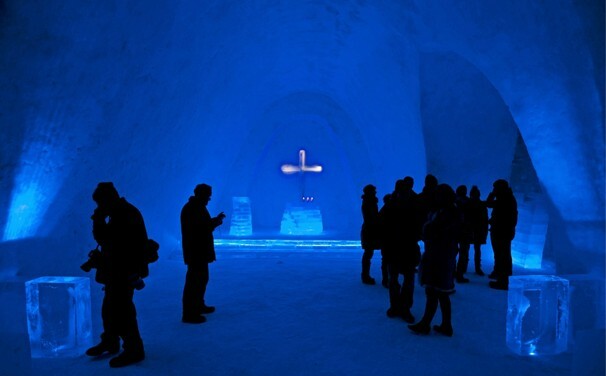 It's made up of 49,000 cubic feet of snow. The structure was lit in blue light as it opened and guests witnessed a blessing from the church dean. 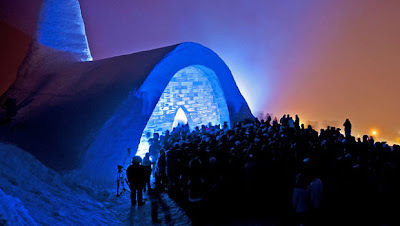 When the ancestors of today's villagers built the first snow church in 1911, they weren't thinking of architectural achievement. 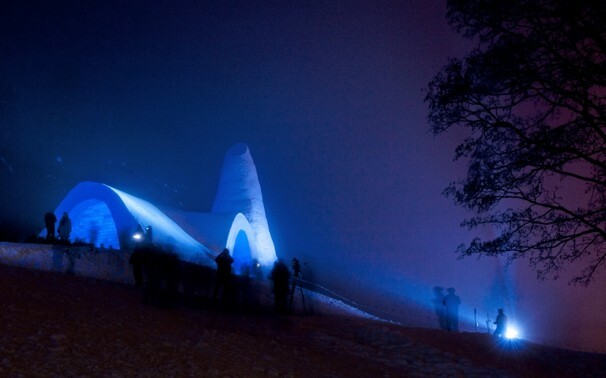 The dean said the first snow church was an act of provocation. Believers from the village got together and built it because they didn't have a church. Amazing!